How to get a brazilian passport? Brazil's National Immigration Council (NIC) issued Resolution 60/04 on October 6, 2004, which supersedes Resolution 28 of November 25, 1998, with respect to the issuance of permanent visas to alien investors in Brazil. With this newer rule, the amount of an investment needed for obtaining a permanent residency in Brazil was lowered to US$50, 000 and this has become the easiest and fastest way of getting residency in Brazil. You can obtain a permanent residency in Brazil, by investing the minimum amount of US$50K in, for example, a piece of real estate, such as a rental apartment or condo-hotel unit (flat) or even by opening a small business, such as a restaurant. Under this new Resolution, a permanent visa allows a foreigner to live and work in Brazil with the purpose of investing his or her own foreign funds in productive activities or investing in existing activities in Brazil. In addition, we can find a local sponsor which makes the whole procedure easier waiving the 50K investment requiremnt.The only funds required are the $6, 900 USD fee. - the investment can be made into his or her newly opened company or in an already existing business. The procedure is pretty easy for a foreigner; the documentation needed is basically a Power of Attorney, copy of passport, and proof of address in native country. This is how it works: usually, a corporation is opened for the applicant (in his name - as the owner) and subsequently a bank account will be opened. Afterwards, a registration takes with Banco Central do Brasil and the minimum amount of US$50, 000 is authorized to be wired from the investor's account abroad to his new corporate account. It is worth mentioning that when you transfer the money from your bank through the Central Bank of Brazil (Banco Central) to your own bank account in Brazil, that the money remains yours and stays with you at your disposal at all times and under your sole control. As we have specified above this will be arranged through local contacts and there is no requirement for the applicant to physicall deposit $50, 000 in the account. Once this has been completed, Banco Central do Brasil will issue a certificate. With that certificate your visa application will be filed in Brazil, approved, issued and sent to any Brazilian Consulate abroad, as per your request, so your passport can be stamped. - Flats in Sao Paulo. Low prices, equity, non-management needs, and monthly income make these a great investment opportunity. 1. The ability for applicant to work in their own business. 2. Minimum amount of time required per year to be here. 3. The fact that the program is encouraged and pre-approved by the government. 4. Unrestricted. Applicant and family members may apply and work at any endeavor. 5. Includes entire family including spouse and children up to 18 years. 6. 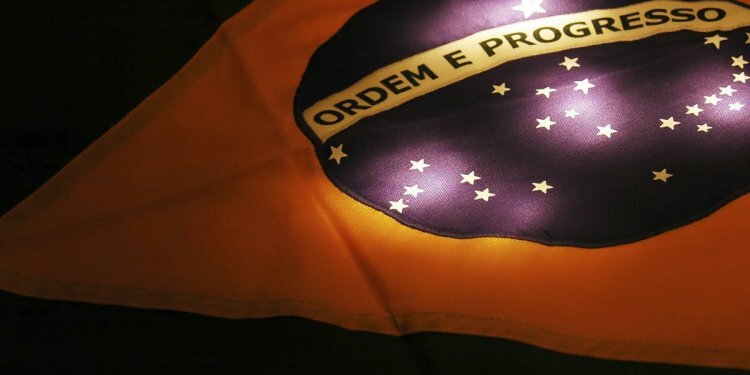 Brazilian Citizenship and Passport possible in only 4 year's time. 7. Favorable Tax and Extradition laws. 8. No personal appearance in Brazil is required for processing. You will pick up the Permanent Visa at the Brazilian embassy or consulate in your home country and then you will enter Brazil with the "Resident Investor Status". 9. It is good for 5 years and takes 60 days for a permanent visa to be issued. 10. You do NOT have to remain in Brazil during your residency. You can visit for as little as a few days every two years. 11. If you are single, a Brazilian Citizenship and Passport is possible after only one year of marriage to a Brazilian citizen. 12. A Resident Investor has almost all rights of a Brazilian Citizen except political. You can not vote or get politically involved. In conclusion, there is no other program that offers a faster and better cost/benefit ratio for a foreigner than the US$50K Investment Residency Program.